"Keep in mind roads will be very messy if you head up to see the snow"
San Diego saw continued rain as temperatures were abnormally cool Monday, prompting the National Weather Service to issue a second frost advisory for the evening. Temperatures were unseasonably cold throughout the day, with winds contributing to the chilly feeling. 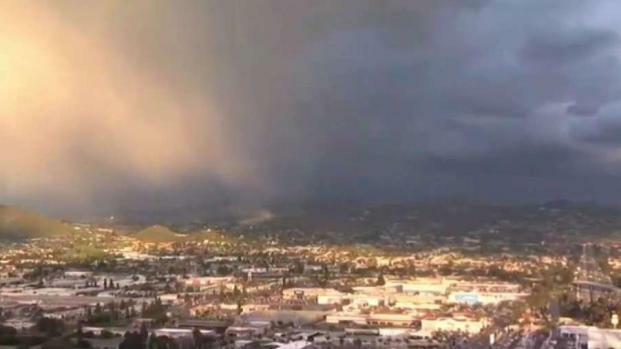 Just before 5:30 p.m., portions of the North County were hit with gentle showers, according to NBC 7 Meteorologist Llarisa Abreu. Abreu said the “quick downpour” would travel south, hitting places like Ramona and parts of Interstate 15. Along the coast, temperatures were near the 60-degree mark, inland temperatures were in the mid-50s and the deserts would see temperatures in the upper 50s. In the mountains, temperatures would likely not cross the 40-degree mark. Overnight temperatures would be frigid. Frost advisories were in effect for Sunday at 10 p.m. to Monday at 9 a.m. and again Monday at 10 p.m. to Tuesday at 9 a.m. because of expected near-freezing temperatures. 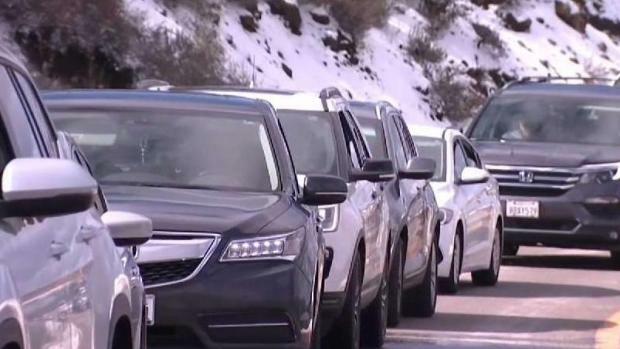 Families expecting to have fun in the snow were met with some traffic delays as cars were required to have chains driving around the local mountains. NBC 7's Artie Ojeda has more. The start of the most recent storm brought anywhere from a quarter-inch along the coast to three-quarters-of-an-inch to the inland valleys. Pine Valley saw the most significant precipitation through 4 a.m. Sunday at just over an inch of rain. The next bout of rain is expected mid-week. 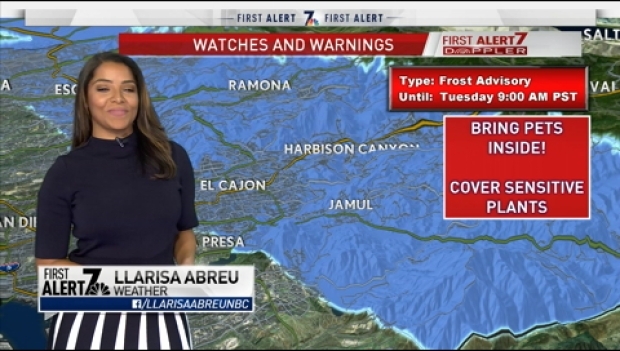 By the time the most recent winter storm departed the region Monday afternoon, San Diego will have received anywhere from 4 to 10 inches of snow at elevations above 4,000 feet, according to NBC 7 Meteorologist Sheena Parveen. Because of the heavy snowfall, NWS issued a winter storm warning through 6 a.m. Monday. During a winter storm warning, heavy snow can make travel conditions dangerous. Some East County residents are loving the cooler weather. NBC 7's Danica McAdam has more. Once the warning expires, roadway conditions will still be hazardous. "Keep in mind roads will be very messy if you head up to see the snow," Parveen said. 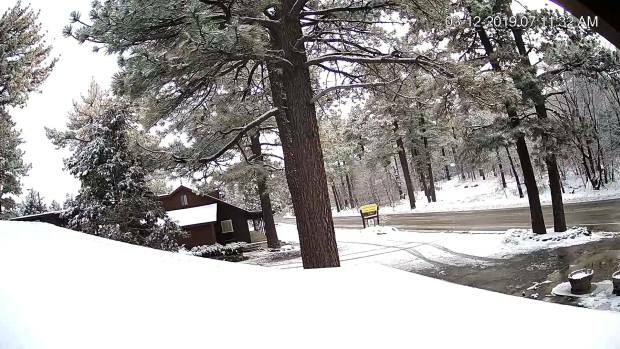 California Highway Patrol shut down two main roads into the Julian mountains on Sunday due to the heavy snow. The agency said several cars became trapped heavily-traveled roads. The NWS advised anyone who must travel in those conditions to keep an extra flashlight, food and water in the car in case of emergencies. 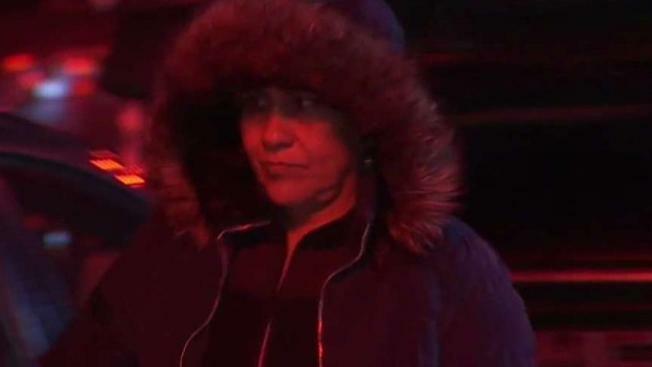 "Unbearable" cold temperatures hit San Diego County. 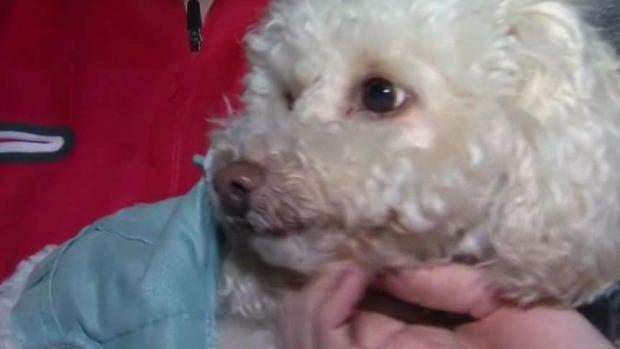 NBC 7's Rory Devine has more on the colder weather.